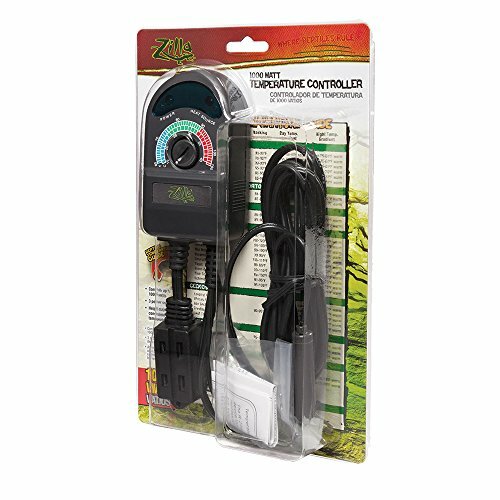 Zilla Reptile Terrarium Heat & Habitat Lighting Temp. Proper terrarium temperature is recommended for a reptile or amphibianâ€™s healthy, active life. Add a Temperature Controller to maintain a petâ€™s terrarium at any preset temperature between 60Â° and 105Â°F. 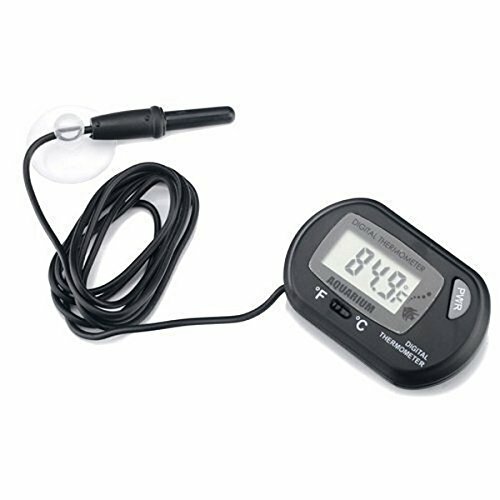 Simply place the temperature probe in a terrarium using the included suction cup, then connect any type of incandescent heat source (heating device is not included). An added safety feature automatically shuts off the heating system if terrarium temperature exceeds 110Â°F due to heater malfunction or excessive sunlight. Choose from two types: a 500 watt system with a single input or a three-outlet device that can manage 1000 watts of heating power. Zilla Terrarium Liners are a safe and easy choice for a fresh, healthy habitat. The liners come in green or brown carpet and can be cut to size as needed. The absorbent, non-abrasive material that won't irritate sensitive feet and, best of all, the Liner is treated with a biodegradable enzyme that reduces reptile odors. At cleaning time, simply rinse with cold tap water and reuse. Ideal for starter kits, the Zilla Terrarium Liner is a fuss-free product for reptile owners and their pets. Increase your tanks humidity with Zoo Meds new Reptile Foggerâ„¢, a Compact Ultrasonic Humidifying Fogger with adjustable fog output control. This unit comes ready to operate. It includes a one liter bottle and all the necessary fittings. It also features a no-spill" valve making it easy to remove and refill the water bottle. 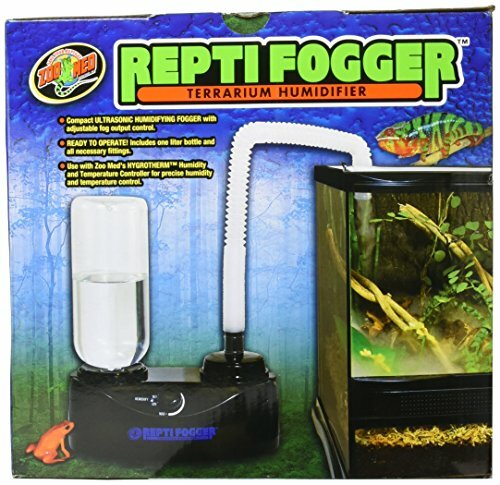 Use the Reptile Foggerâ„¢ in conjunction with Zoo Meds HygroThermâ„¢ Humidity and Temperature Controller for precise humidity and temperature control." Troubleshooting: The fogger will not come on unless the base is full and the safety shut-off float is floating. When people talk about the fogger turning on and off, usually there hasn’t been enough water released from the bottle (maybe the no spill valve is stuck or something) and the float is on the cusp of being too low. We have had a few problems (a while ago, but this may be older stock?) with the rheostat (the part that turns the fog production down). To remedy this, we suggest that the customer enact the 90 day warranty on the Fogger for a replacement. It is best if they can contact our Customer Service team by emailing [email protected] or calling us at the toll free number (Toll Free 888.496.6633) so that we can help them with the warranty. Liner Dimensions: 17.25 x 35.25 Inches Each. 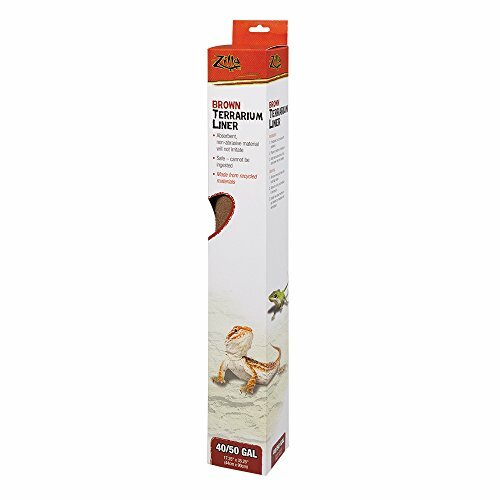 (2 Included) Beginning pet owners and finicky reptiles alike will love Terrarium Liner. The owner simply rolls out the plush green or brown carpet and cuts to size as needed. Reptiles can thrive on the absorbent, non-abrasive material that wonâ€TMt irritate sensitive feet. Best of all, the Liner is treated with a biodegradable enzyme that reduces reptile odors. At cleaning time, simply rinse with cold tap water and reuse. Ideal for starter kits, Terrarium Liner is a fuss-free product to introduce new customers to a reptile hobby. Beginning pet owners and finicky reptiles alike will love Terrarium Liner. The owner simply rolls out the plush green or brown carpet and cuts to size as needed. Reptiles can thrive on the absorbent, non-abrasive material that wonâ€TMt irritate sensitive feet. Best of all, the Liner is treated with a biodegradable enzyme that reduces reptile odors. At cleaning time, simply rinse with cold tap water and reuse. Ideal for starter kits, Terrarium Liner is a fuss-free product to introduce new customers to a reptile hobby. 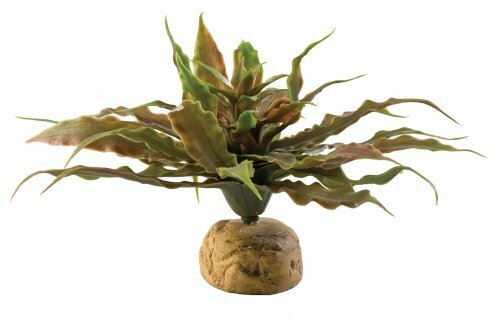 Exo Terra Star Cactus Desert Terrarium Plant is an exact replica of its natural counterparts and is easier to maintain. The cactus replica is true in all aspects with its low to the ground and round shape. This plant offers the same advantages as live plants whether the purpose is decorative, creating hiding spots, or enlarging the dwelling area. All of Exo Terra's Terrarium plants come equipped with a weighted base allowing for stability and easy set up. The plants are easy to clean and simple to maintain. A combination of live plants and the Exo Terra Terrarium Plants is perfect so even in spaces where live plants won't thrive there will be natural looking decorations. Reptiles rely on external heat sources to elevate their body temperature. 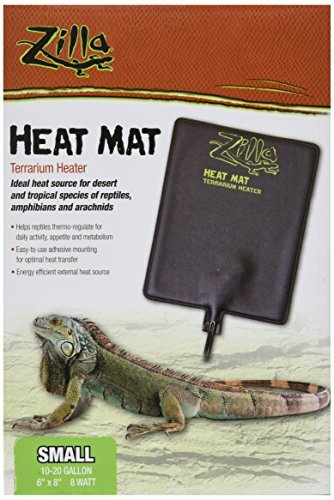 Zilla Heat Mat Terrarium Heaters provide warmth for reptiles to absorb from their surrounding environment in order to maintain and thermo-regulate heat used for daily activities, appetite and digestion. These all-metal screen clips fasten securely to enclosure tops and frames. Their heavy duty construction provides extra security to keep reptiles safely inside their enclosures. Fresh Air terrarium covers are designed especially for the unique needs of reptile environments. 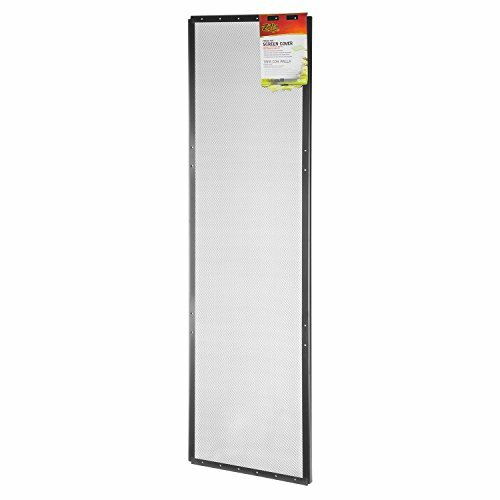 Screening promotes the healthy exchange of air needed to keep cold-blooded reptiles healthy and active, with a metal mesh tough enough to withstand the clawing of the largest pets. Designed with lighting hoods in mind, the mesh also stands up to the high temperatures heating bulbs generate. Long lasting black steel frame keeps its shape through years of daily use. For added security, accessorize a Screen Cover with screen clips, combination locks and a cord access port (sold separately). Attach this compact device to the side of your aquarium and terrarium for accurate temperature readings to ±1.5°f. Temperature probe sits inside aquarium to monitor temperature, while lcd provides °c or °f readings from -10°f to 140°f. Includes power button, mounting suction cups, 39" temperature probe, and replaceable battery. 2-1/4" x 1-1/2". Copyright © Wholesalion.com 2019 - The Best Prices On Terrariums For Reptiles Online.